Bangkok, Thailand – On World Elephant Day (August 12), WWF and TRAFFIC urge Thailand’s Prime Minister, Yingluck Shinawatra, to ensure legal reform, including steps outlined in Thailand’s national ivory action plan, delivers on her promise to shut down the country’s trade in ivory. “Ending ivory trade in Thailand – currently the world’s largest unregulated ivory market – will go a long way in stemming a global poaching crisis that is leading to the slaughter of tens of thousands of elephants each year and fuelling a global criminal trade in animal parts,” said TRAFFIC’s Greater Mekong Programme Coordinator, Dr Naomi Doak. In order for Thailand’s national ivory action plan to satisfy the requirements of the CITES decision and deliver on the commitment from the Prime Minister, WWF and TRAFFIC believe it must provide for legislation that is sufficiently robust to prevent the sale of ivory within Thailand; forensic testing of large ivory seizures; and a comprehensive registration system for domestic elephants. On August 8th, Prime Minister Shinawatra visited Kuiburi National Park in southwest Thailand, a stronghold for about 230 wild Asian elephants along with other endangered species, including tigers, gaur, banteng, and Malayan tapir. 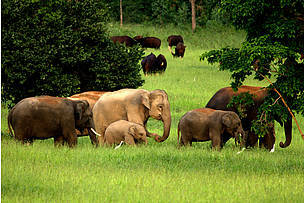 The Prime Minister also recently returned from Tanzania, where she signed a memorandum of understanding for cooperation on national park and wildlife management and visited Serengeti National Park where elephants are being killed for their ivory, much of which is potentially destined for Thailand. 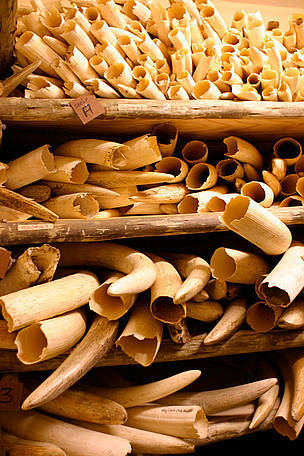 Along with Thailand, China (and Hong Kong separately), Kenya, Malaysia, the Philippines, Uganda, Tanzania and Viet Nam submitted National Ivory Action Plans by the deadline of 15 May 2013 that had been set by the CITES Standing Committee during the recent meeting held in Bangkok. These eight countries are requested to take urgent measures to put their plans into practice before July 2014, when the CITES Standing Committee will review their implementation. Just a four-hour drive from Bangkok, the largest city in mainland Southeast Asia, is one of the last strongholds of the Asian elephant. Established in 1999, Kuiburi National Park represents the gold standard in terms of habitat improvement for wild elephant, and is home to other endangered species, including tigers, gaur, banteng, and Malayan tapir. Elephant tusks stored away under extreme security measures in the ivory stock pile of the Kruger National Park, South Africa. 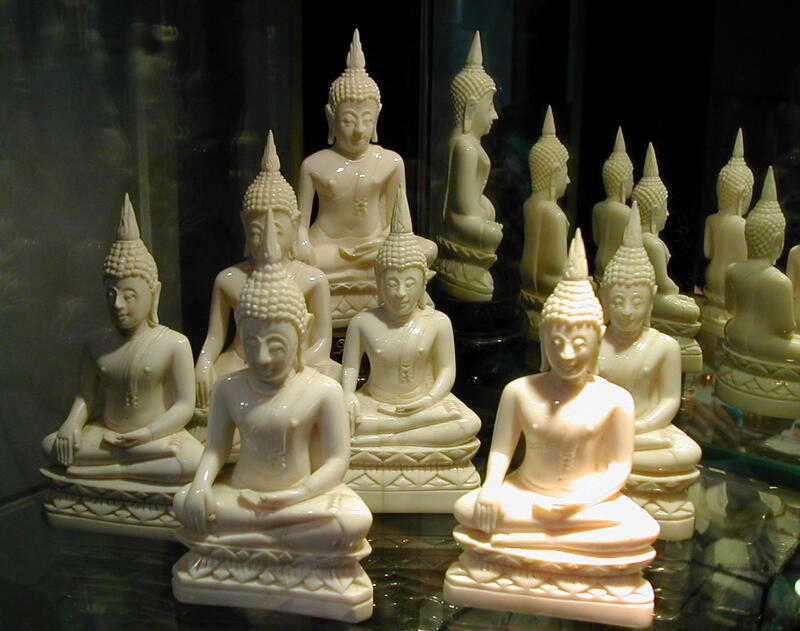 A large percentage of Thailand’s ivory is bought by foreign tourists, but there is significant demand among devout Buddhists for ivory carved into images of the Buddha, amulets, and other objects of worship.